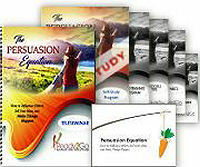 Audio Training Program: The Persuasion Equation - How to Influence Others, Sell Your Ideas, and Make Things Happen from Ready2Go Marketing Solutions, Inc.
How to Influence Others, Sell Your Ideas, and Make Things Happen! No matter who you are, where you’re from, or what you do, at some point or another, you’re going to need to persuade someone to see things from your perspective or convince them to do something you want. ...Have you ever built a company from the ground up, and hired people to manage your operations, sales, marketing, and customer service? ...Have you ever thrown a surprise party and needed someone to bring the food, keep the secret, come early, and distract the guest of honor? ...Or have you ever simply needed a hand cleaning up around the house? These are all times when you have put the art of persuasion & influence into practice. You were born with these incredibly powerful tools, but if you’re like most people, you have no idea how to actually use them. But rather than wielding them wisely, we often fall into the all-too-common traps of manipulation, nagging or just being bossy. The Power of Persuasion is carefully crafted to help your clients and prospects connect powerfully with others, and be respected influencers and leaders at home and at work. 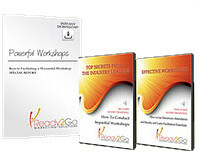 Using these tools will make their lives A LOT easier and far more fulfilling. Each audio script that you record in your own voice is only 4-6 minutes long, so your clients can listen at their leisure and quickly apply these lessons to their life. 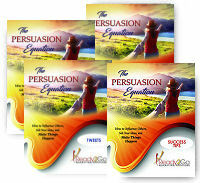 The Power of Persuasion was designed to give your clients the building blocks of influence, unlock their persuasive potential, and use the wisdom within them to accomplish their dreams and create a more satisfying, fulfilling life.